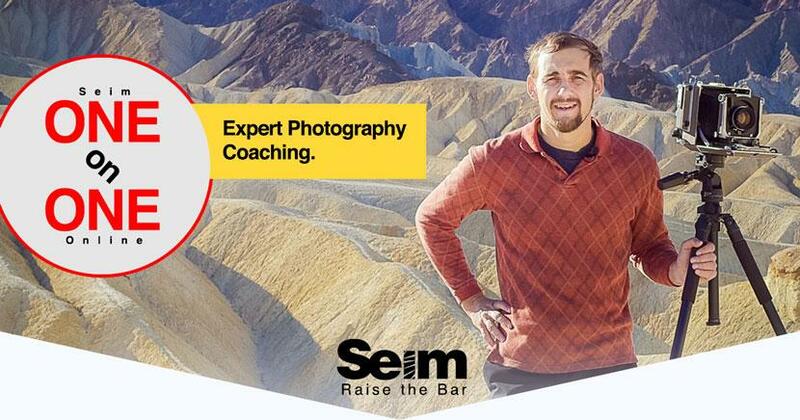 One-on-One Photography Coaching with Seim. Personal one-on-one coaching sessions with Seim! Special Introductory Price for the first 20 bookings! Save $102! Improve your photography or video production skills with a one on one power session. Address YOUR needs right now in a private one-on-one workshop sessions. A breath of fresh air for you. We can all use honest, experienced coaching and encouragement to help end frustration and give us a power boost. Whatever you’re trying to overcome, I’ll be able to help you. Fifteen years of extreme hands on experience, study with the best and passion have given me the tools I need to resolve nearly any photographic question. For years I’ve taught workshops and released educational content. So now, despite the time concerns, I want to make that knowledge available in a more custom format. We’ll spend an hour focusing on whatever you want in your photography, presentation, workflow or web presence. You’ll get honest constructive feedback based on my 15 years of deep study, research and teaching that will help you overcome any problems you may have. One hour of one-on-one personalized training with Seim. Conducted over Skype with screen sharing available. We’ll work on anything you need help with. Expert advice from master craftsmanship and camera to print. Software, Photoshop, LR, retouching, video editing, Zones. Get help with marketing, social media and web presence. Truly Honest feedback and challenges to help you excel. $227hr Introductory offer, only $125. GUARANTEED: This is something you won’t find from most qualified consultants. But like all my products, I stand behind it. If I can’t help you with your problem, you’ll get your money back, I know I can help you and I’m so confident you’ll be satisfied with the personal coaching you get that you’ll want to come back. Sessions are flexibly scheduled Mon-Sat, during daytime or evening hours. Sessions can be at my studio if you are local to Central WA, but are best scheduled on Skype where we can share screens, review ideas and show images to help you get the most our of your session.